As it is said that a comfortable stay is an essential ingredient of a pleasant journey, Hotel Karan Palace fulfils this essentiality in a perfect way possible. No less than a jewel among the deluxe category accommodation options in Barkot, Hotel Karan Palace offers a serene, comfortable, and private sojourn to the visitors. The dedicated devotion of the staff of the hotel leaves a lasting impression in the memories of the revered guests. 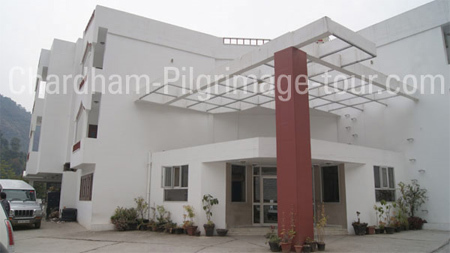 The hotel is positioned on the Yamunotri Highway. Karan Palace renders top-notch amenities ensuring a snug stay of the guests. The hotel offers a budget friendly accommodation in its beautifully designed and fully furnished rooms that is well appointed with all sorts of modern comforts travellers expect these days. Multi cuisine dining is available in the hotel round the clock which ensures additional advantage to the guests. In short, it is a great accommodation option for a congenial stay in Barkot. The hotel is bequeathed with meticulously designed and fully furnished 31 rooms among which 25 are the deluxe rooms and six rooms are four bedded. 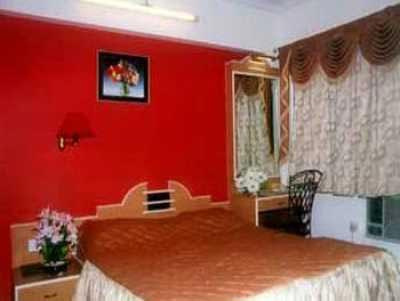 These rooms are well equipped with high class amenities such as intercom, LCD TV, AC, and more. Guest can enjoy a comfy stay in the well designed and spacious rooms of the hotel along with the excellent room service.